During the last couple of years, Google has been undergoing massive structural transformations: first they shut down their PageSpeed Service which was their own take into the CDN world until August this year. In exchange of that, they launched CDN Interconnect, a program where Google joined forces with other CDN providers like Cloudflare, Fastly, Level3, Highwinds and lastly Akamai, opening the doors to those partner CDNs to serve content originated from Google Cloud Platform and profiting from using the giant’s Backbone Network. On top of that, Google has been quite successful in building their impressive Global Cache for speeding up their own services by directly installing caches on ISPs. In a previous post we found out more than 800 cache locations worldwide. The Alpha Release of Google Cloud CDN was interpreted by the press as competition with their own partners from CDN Interconnect. We looked closer and discussed our first impressions in our previous post. Now it’s time to look inside this new service and see what it has to offer. We looked at our results with skepticism at first, but after looking closer at them, we could recognize the gestation of what could be the new wunderkind among CDNs. Since the current release state of Cloud CDN is Alpha, you can only use it by invitation. In our case, we requested access and it was granted only 2 days later. Cloud CDN is built within Compute Engine, which is their Cloud Service for creating and running Virtual Machines (VMs). This service features elasticity options for responding to changing traffic conditions, such as replicated instances and Load Balancing. This is where Cloud CDN comes into play: as part of a load-balancing configuration. The charges for using this service are based on the pricing for Load Balancing and Protocol Forwarding. On top of the hourly charges for using the first 5 Forwarding Rules of $0.025/hour, the cost per processed GB is $0.008/GB. On top of these costs, consider the standard Internet Egress rates you have to pay for delivering your content, which ranges from $0.08/GB to $0.23/GB depending on the region and monthly usage. Heavier users profit from cheaper rates. Neverhteless, this is not a particularly cheap solution, as we can find more affordable CDNs, you can take a look at this comparison. If you already have a backend service running in a VM in Compute Engine, activating Cloud CDN after registration requires only one command. In case you don’t have a load-balanced backend service running you can take a look at our quick tutorial for setting it up. This will spare you some time of reading through many different pages of documentation. We ran 48 hours of continuous performance monitoring using our tool Cloudperf, with a total of 33600 single last-mile measurements for each test. We can see that in terms of throughput, Google CDN doesn’t perform especially well in comparison with other CDNs. But if we look at our measurements in Europe… Surprise! Amazingly low latencies! Our Thoughput measurments confirm that the young Cloud CDN is already giving top performance in Europe! This is a very clear sign on where Cloud CDN shows competitive advantages, should you decide to use it on its current state. If you’re interested in speeding up your services in Europe, this CDN is already a viable solution. On the other hand, in the US we could observe a notoriously high latency and not very fast download speeds. These results may surprise us at first, but we have to remember that this CDN service is still in Alpha stage, which means that it can still be radically altered during its development. According to the current documentation (December 2015), content is cached only in a small subset of POPs during this stage; the full POP usage will be available later on. Also the cacheable file size is currently limited to 4MB. Caching larger files will have to wait for a further release. In the next table we can compare the latencies achieved in the US on different ISPs. In other countries the latency tests didn’t show much better results except for european countries, where it performed notably well. From the current state of development, we have observed that Google Cloud CDN isn’t going full speed yet. It is evident that it’s in fact an Alpha release. Nevertheless, looking at their performance in Europe, we can definitely see its immediate utility in multi-CDN scenarios, where customers demanding fine tuned performance can use Google CDN in Europe while using different CDNs in other regions. How does this fit between CDN Interconnect and Global Cache? Technically speaking, we can see that Cloud CDN is built upon the Load Balancing system for their Cloud Backend Services. With that in mind, we can consider this a hand-cut CDN solution designed especially for Google’s own cloud services. On the other hand, Global Cache accelerates mainstream Google services at an ISP level, while CDN Interconnect allows partner third party CDNs to cache and serve content stored in Google Servers much faster. All this helps us visualize an impressive caching infrastructure Google is extending to keep his place in today’s and tomorrow’s very competitive Internet. Even in an Alpha release which reasonably showed mediocre results for the most part, we know this is to be expected and should radically change after its final release. Of course Google knows this…after all, being and staying an Internet giant isn’t easy! PS: You can make your own comparisons and performance tests using CloudPerf. Sign up now! 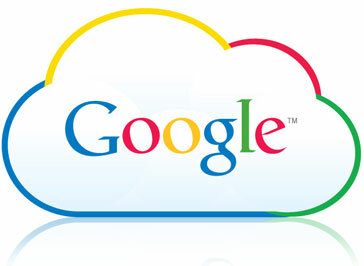 Previous Previous post: Is Google taking on Akamai? …not really. Next Next post: Google CDN Beta is here… and it’s already one of the fastest CDNs out there!